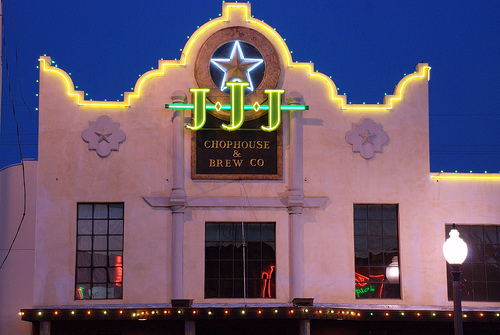 Not just Lubbock’s only brew pub, but also a steakhouse where a comfortable atmosphere and a friendly service staff awaits you. With a wide variety of menu items, no wonder people claim we have “Darn Good Food.” Come in for a Well Crafted Beer, stay for the excellent food! Reservations will be taken for 10 or more or you can use our online reservations at the top of our web site.Call a head seating will be accepted if we are currently on a wait. Your name will be placed on the list in the order received. We will allow you 15 minutes past your quoted time before moving your name to the end of the waiting list. Please check in at host stand upon arrival. Time quotes are only an estimate. We also offer off-premise bar service!